This is a contest where you want to come in last place. 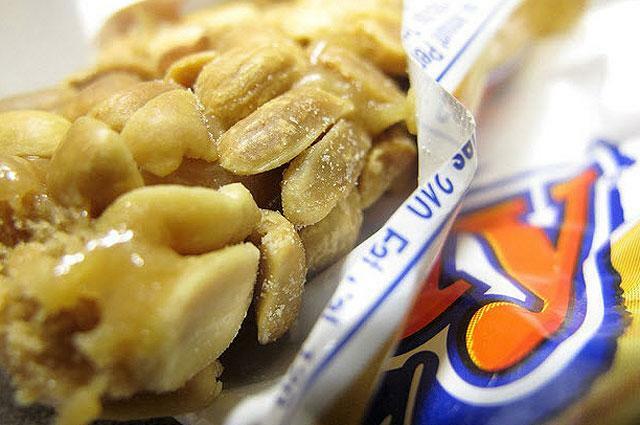 While a PayDay is packed with 240 calories — not all of them are bad. 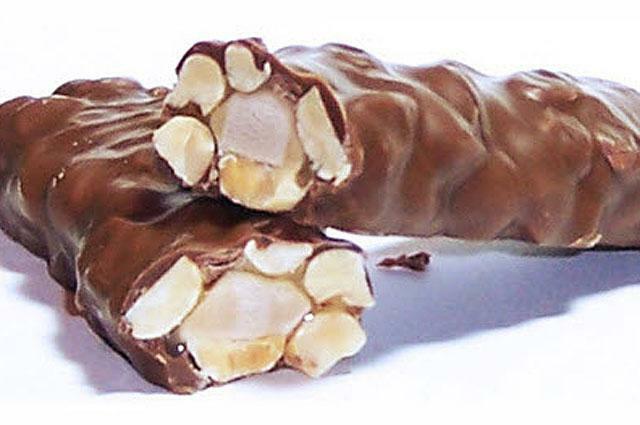 The candy bar contains 7 grams of protein, which is as much as some protein bars. And while most candy lists sugar as its primary ingredient, PayDay is loaded with peanuts, meaning most of its fat is a healthier variety. 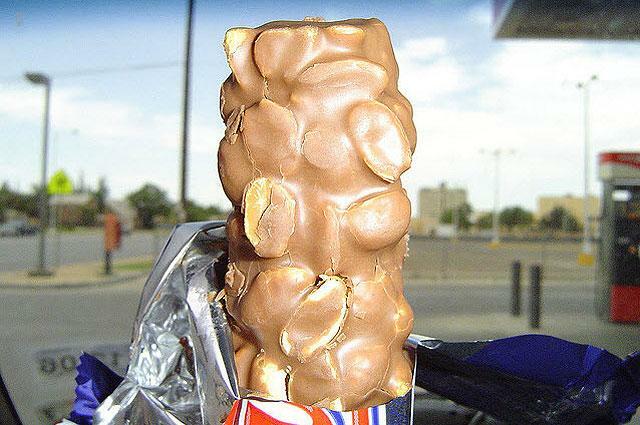 However, PayDay is considered candy for a reason: It’s packed with 21 grams of sugar. 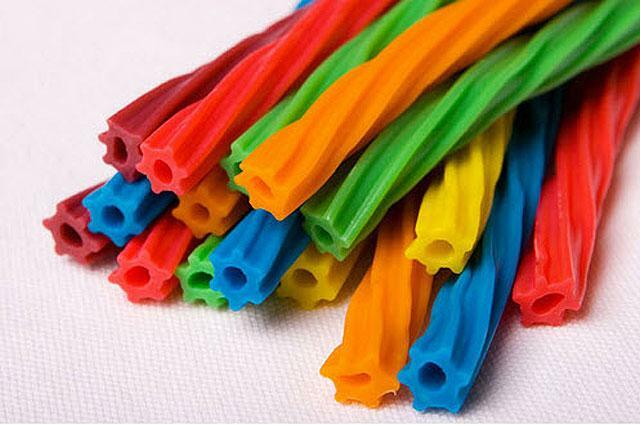 Twizzlers prides itself as the do-good of candies: It’s Kosher certified and even approved by PETA (because it has no gelatin or animal products). But on the nutritional side, it’s equally friendly for those hoping to avoid a heavy Halloween treat. Four whole Twizzlers are only 150 calories, and because they take so long to eat, you’re more likely to trick yourself into feeling full. The downside: That serving size still contains 19 grams of sugar. If you’re going to combine chocolate and peanut butter, this is your option. 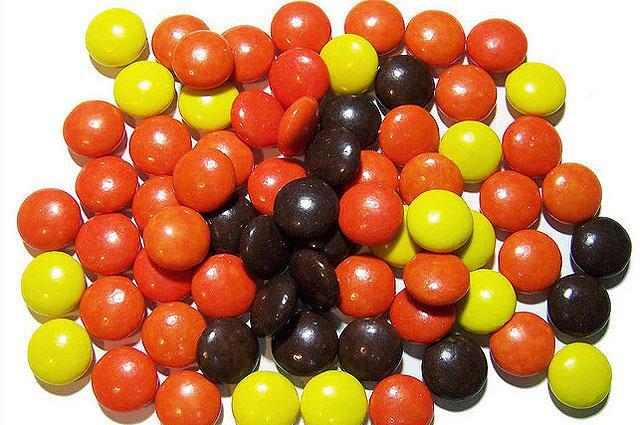 (You’ll find out soon why Reese’s Pieces are worse than the butter cups.) 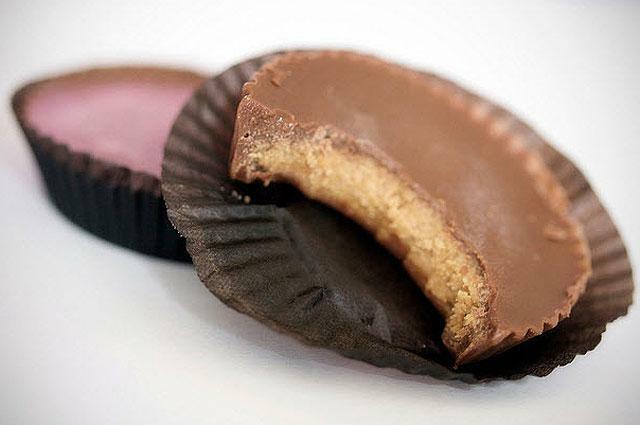 And while the manufacturer claims, “There’s no wrong way to eat a Reese’s,” we politely disagree. A 2-pack clocks in at less than 200 calories, but the king-sized version contains a kingdom worth of fat — 44 grams to be exact. 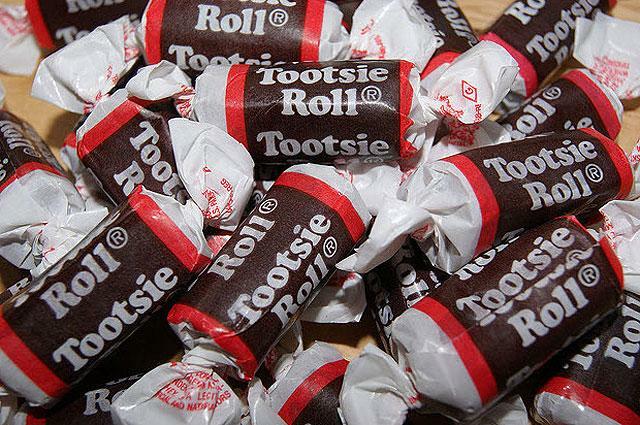 Little known fact: All Tootsie Rolls are made from leftovers of the previous day’s batch. That might explain the waxy, chewy goodness of this classic treat. While one Tootsie will only cost you 155 calories, you’re still loading nearly 25 grams of sugar into your body — or as much as four Oreos. 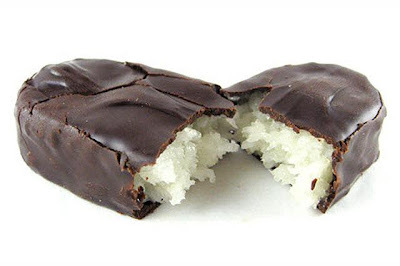 This candy bar is a rarity in the field: Dark chocolate, coconut, and less than 30 grams of sugar. 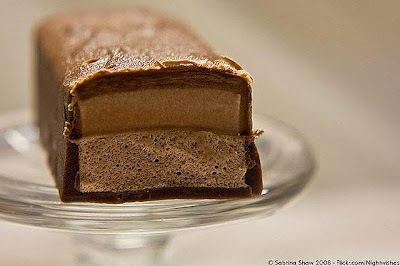 Still, these candy bars are loaded with emulsifiers and preservatives to maintain freshness. 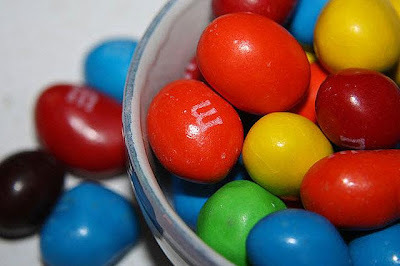 Considered the superior health choice of the M&M family, these more filling treats have nearly the same amount of calories as traditional M&M’s but with less sugar and more protein. The downside? More than half of the calories comes from fat, and it's not just the good stuff. 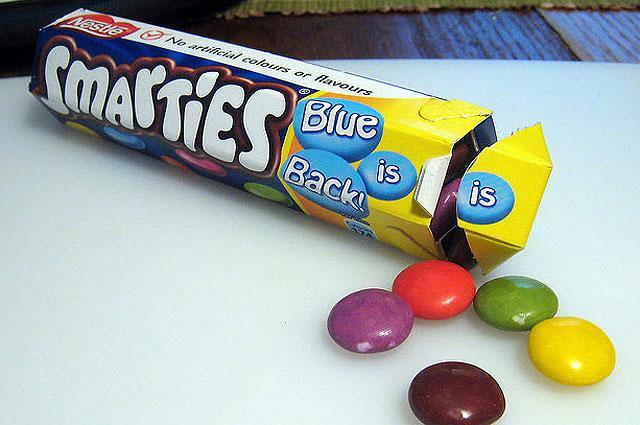 The “new” kid on the block, this treat first appeared in 1994. 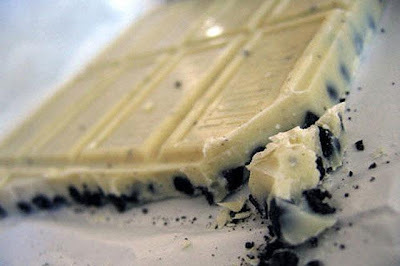 It was an instant hit when it featured its distinct — and unique — white chocolate. With only 19 grams of sugar, it’s actually relatively low for a candy bar. The problem? White chocolate is no longer an ingredient — it’s since been replaced by oil substitutes — and nearly half of the calories are from fat. 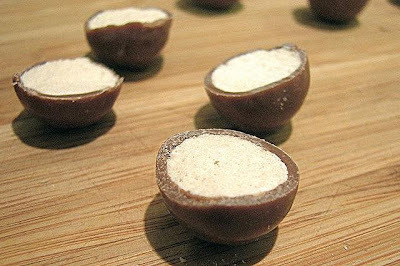 One of the original malted milk balls, Whoppers may look and taste like an American classic, but they’re more reminiscent of a synthetic blend of the future. Once you look past the high sugar content, you’ll notice that chocolate isn’t even listed on the ingredient list, but corn syrup, malted milk and barley milk are. Whoops. Don’t say we didn’t warn you. The slogan for the Crunch bar is “For the kid in you.” And nothing could be more accurate. With 80 percent of its carbs coming from sugar, you’ll undoubtedly satisfy your sweet tooth. 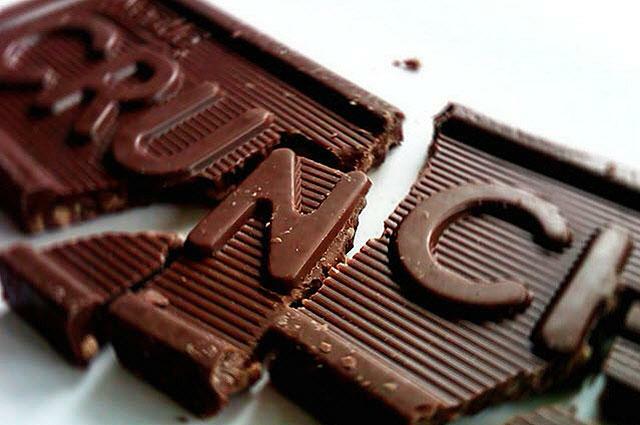 Wondering why you should avoid the sinfully sweet combination of chocolate and peanut butter? Four words come to mind: Partially hydrogenated vegetable oil — otherwise known as trans fats. While a few of these candies won’t do any harm, it’s hard to limit your intake before the bag is gone. Several years ago, Nestle created an April Fool’s Day ad campaign saying they changed the name of this candy to “The Finger.” Fitting because Butterfinger does a good job of a giving “the finger” to your health by using compound chocolate — an artificial substance that combines cocoa, vegetable fat and sweeteners. Chocolate, wafer and caramel: What could be wrong? How about 27 grams of sugar, 14 grams of fat, and nearly 300 total calories. Need a moment? 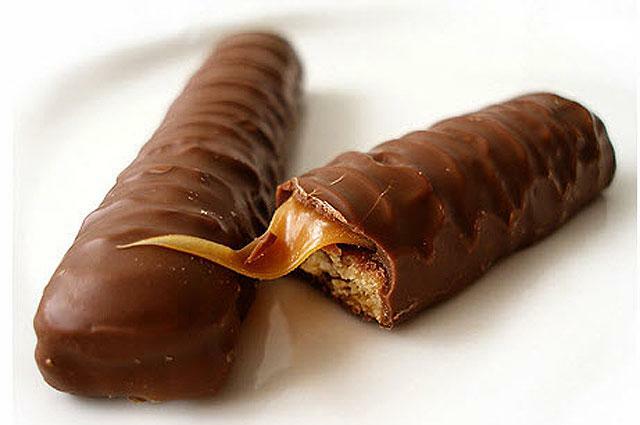 If you’re serious about losing weight, don’t chew it over with too many Twix. 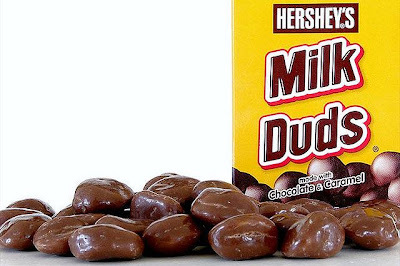 The worst part about Milk Duds: The name is misleading. 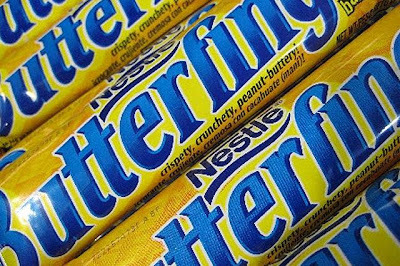 In 2008 Hershey changed the ingredients to make production cheaper. So while chocolate is still a part of this candy, it has lost its signature phrase and can no longer be referred to as a candy coated in milk chocolate. Swedish fish won’t make that big of a dent on the scale. 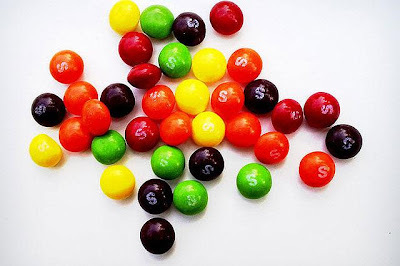 At only 140 calories, they are one of the lowest calories candies you’ll find on the list. The problem? 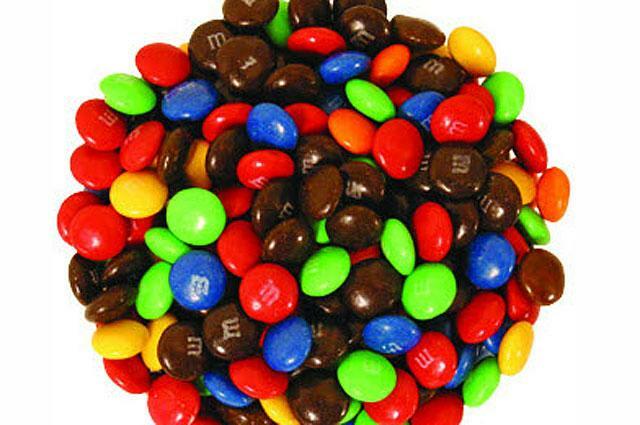 The candy has one of the highest ratios of sugar-to-calories. 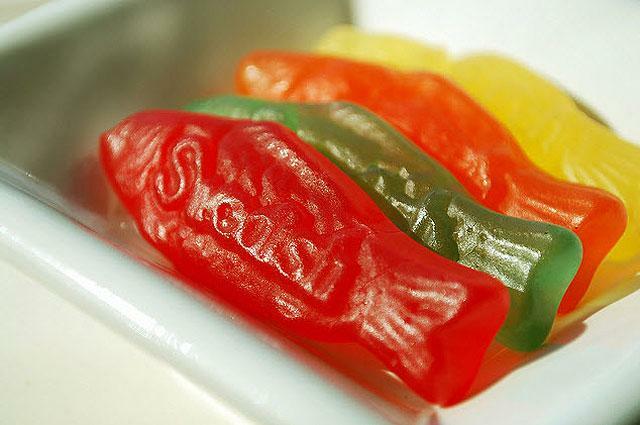 Swedish fish contain no protein or fat (both of which could make them healthier), meaning this treat is a direct trigger for insulin shock. Milk does a body good. 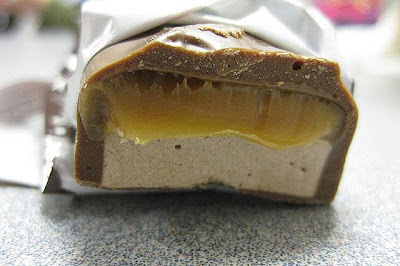 Milky Way: Not so much. But that’s what happens when a small treat includes 21 different ingredients and sugar, cocoa butter and milk fat are three of the five most potent components. At least it contains egg whites, right? The only thing smart about these candies is staying away. A small pack of this colored candy will cost you 37 grams of sugar. 275/32/13. Those aren’t the hitting numbers of the former baseball player. They’re the calories/sugar/fat content of a small 2-ounce bar. Definitely not a nutritional home run. Call it prophetic, but 3 Muskateers is the third worst candy on our list. Its 40 grams of sugar is the equivalent of four Krispy Kreme Donuts. When a small candy bar has more calories than a Chargrilled Chicken Sandwich from Chick-fil-A, you know you have a problem. But that’s exactly what happens with this 330 calorie treat, which is loaded with 31 grams of sugar and 17 grams of fat.